Mr. Robert R. Everett is currently a senior scientist of the Air Force Scientific Advisory Board and a member of the Ballistic Missile Defense Advisory Committee. He is also a member of the Federal Aviation Administration’s Research, Engineering and Development Committee. He was a longtime member of the boards of directors of the Digital Equipment Corporation and the Massachusetts General Hospital Corporation. From 1969 to 1986, Mr. Everett served as president of The MITRE Corporation. He joined the newly formed company as technical director in October 1958. In December 1959, he was named vice president, Technical Operations, and became executive vice president of MITRE in March 1969. In 1943, Mr. Everett joined the staff of MIT’s Servomechanisms Laboratory, engaging primarily in the development of hydraulic servomechanisms for stabilized shipboard radar antennas. Two years later, he became associated with Jay W. Forrester and Project Whirlwind, which was developing electronic digital computers. In 1947, Project Whirlwind became the Electronic Computer Division of the Servomechanisms Laboratory, but in 1951 it separated from the Servomechanisms Laboratory to become the MIT Digital Computer Laboratory, and Mr. Everett was named associate director. In that same year, a large part of the Digital Computer Laboratory joined the newly formed MIT Lincoln Laboratory as Division VI. Mr. Everett became associate head of Division VI and a member of the Lincoln Steering Committee, continuing as associate director of the Digital Computer Laboratory. In 1956, he became head of Division VI of Lincoln Laboratory, where he was in charge of the Semi-Automatic Ground Environment (SAGE) air defense system design and test, and directed Lincoln’s data processing research and development. This work led directly to the founding of The MITRE Corporation. Mr. Everett has served on many boards and committees. From 1987 to 1993, he was a member of the Defense Science Board (DSB), serving as chairman from 1988 through 1989. From 1970 to 1972, he served as a member of the Advisory Council of the Panel on Major Systems Acquisition of the Commission on Government Procurement. Also from 1971 to 1972, Mr. Everett served as a member of the National Aeronautics and Space Administration Tracking and Data Acquisition Advisory Panel. From 1968 to 1969, he was a member of the Department of Transportation Air Traffic Control Advisory Committee, the Office of the Director of Defense Research and Engineering Systems Engineering Management Panel, and the DSB Task Force on Research and Development Management. From 1962 to 1968, he served as a consultant to the Air Force Systems Command Range Technical Advisory Group, and from 1959 to 1960, he was a consultant to the Air Defense Panel, President’s Science Advisory Committee. In 2009, the Computer History Museum honored Mr. Everett with a Fellow Award for his work on Whirlwind and SAGE and a lifetime of directing advanced research and development projects. In 2008, the Department of Defense (DoD) presented Mr. Everett with the prestigious Eugene G. Fubini Award for his outstanding contributions to its mission. The Fubini Award, established in 1996 by then-Secretary of Defense William Perry, recognizes annually an individual from the private sector for innovations to help meet the needs of warfighters and peacekeepers and for their advice and counsel on issues of major importance to the Secretary of Defense and the DoD. In 1990, Mr. Everett received the Air Traffic Control Association’s George W. Kriske Memorial Award for his contributions to air traffic control and the Pioneer Award from the Institute of Electrical and Electronics Engineers, Aerospace Electronics Systems Society, for his work on the development of the Whirlwind computer. In 1989, President George H.W. Bush awarded Mr. Everett the National Medal of Technology, the nation’s highest honor in this area, for his work in real-time computer technologies and applications. He has also received the Armed Forces Communications and Electronics Association Gold Medal Award for Engineering (1985), and the DoD Medal for Distinguished Public Service — the Department’s highest recognition of a civilian in peacetime (1983). 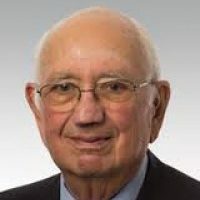 Mr. Everett’s work has been published in numerous technical journals, and he has been awarded several patents in the fields of magnetic drum memories and display devices. He received his bachelor’s degree from Duke University in 1942 and his master’s degree in electrical engineering from MIT in 1943. He was awarded an honorary doctor of science degree by Duke University in 1992 and had previously received an honorary doctor of engineering degree from Northeastern University. In 1978, he received the Duke University Distinguished Engineering Alumnus Award. Mr. Everett is a member of Phi Beta Kappa, Sigma Xi, and Tau Beta Pi; a fellow of the Institute of Electrical and Electronics Engineers; and a member of the National Academy of Engineering, the Association for Computing Machinery, and the American Association for the Advancement of Science.